New Items For Sale! 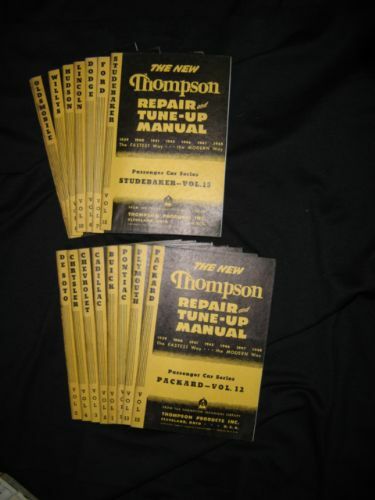 Now Here Is The Neatest And Rarest Repair Technical Manual Library Set We Have Every Seen In Our 40 Years In Business. 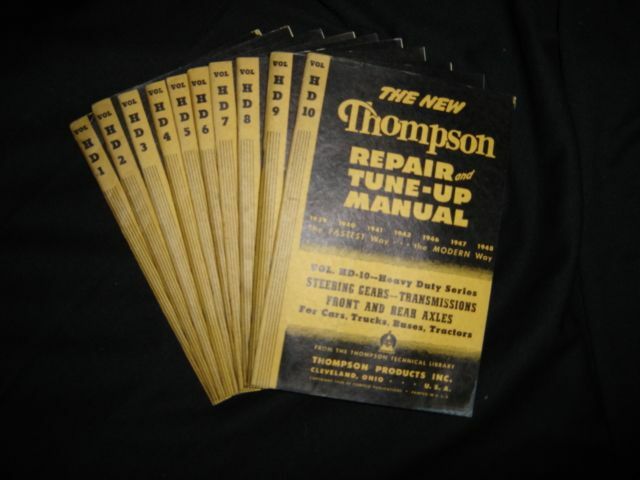 This 16 book manual and 21 supplement set is manufactured by The Compco Publications, in Cleveland Ohio and called The New Thompson Repair and Tune-Up Manual. 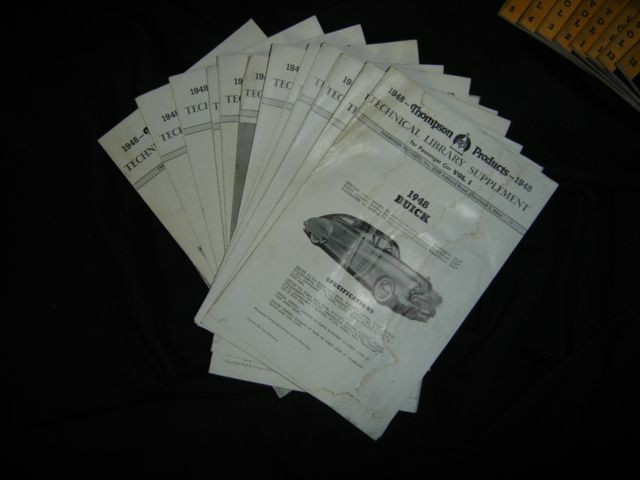 All these manuals are in good condition, and some are mint. 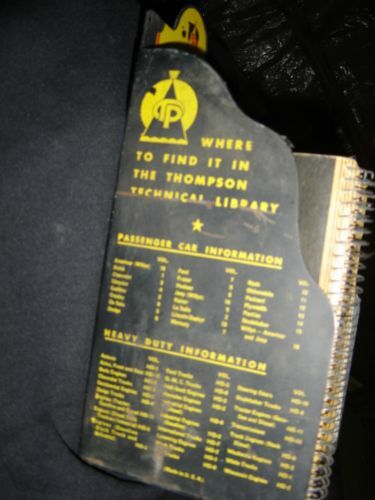 There are 3 spiral bound volumes, and as you can see they fit into the factory Thompson Technical Library metal shelf container. 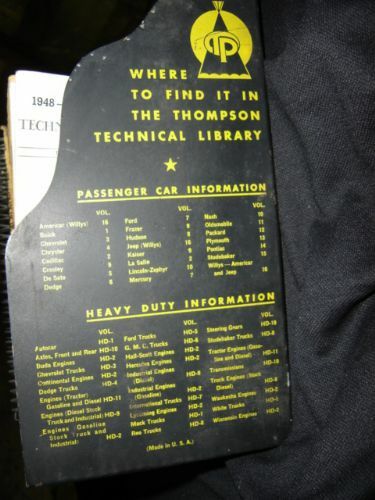 These manuals cover cars, trucks, tractors, gas and diesel engines, from 1939 to 1948 Tractors, and cars from 1941 to 1950. There are also 21 separate supplement pamphlets that come with this set. 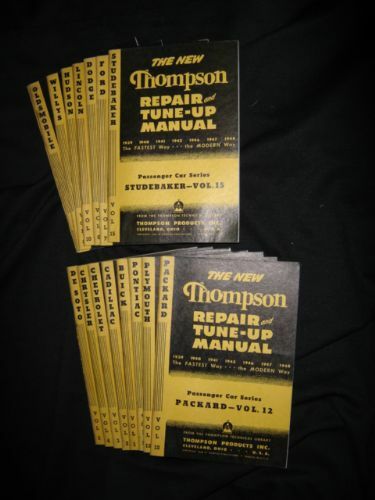 The tractor manual covers Allis-Charmers, Avery, Case, Caterpillar, Cletrac, Co-Op, John Deere, Eagle, Ford Tractor-Ferguson System, Graham-Bradley, Huber, International, International McCormick-Deering, Love, Massey-Harris, Minneapolis-Moline (Twin City) Oliver, Silver King Fate-Root-Hearth Co. 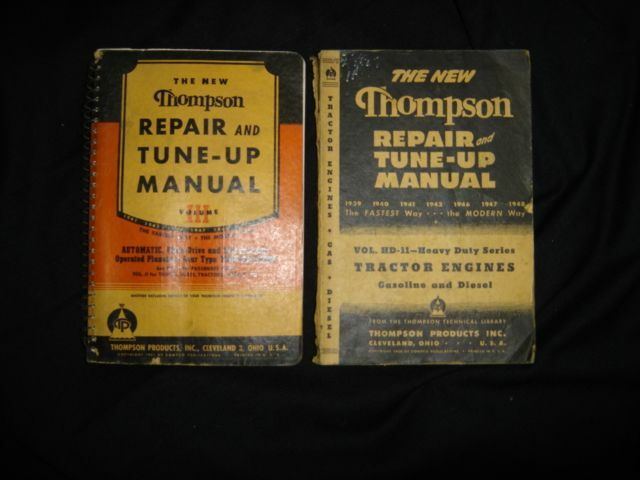 The Volume 1 is for passengers car manuals cover all the major brands, and volume II are for Trucks, Buses, Tractors, Diesels, Etc. We are not going to split this set up and will sell this set for a very reasonable price of ONLY $350.00, and shipping will ONLY Be $20.00 within the lower 48 states. 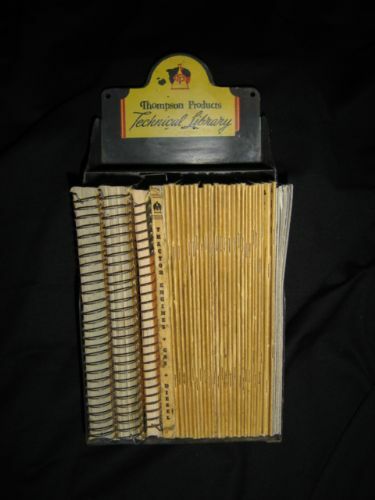 Yes we can ship this set anywhere in the world and can get the shipping rate to where you are. 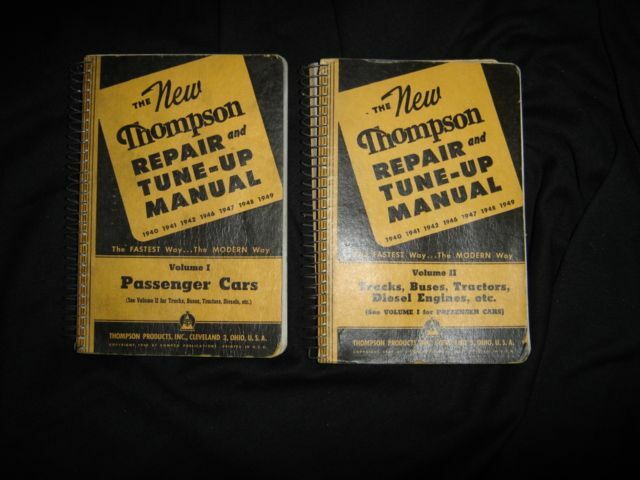 If you are a Thompson Manual Collector or you just want to have this unbelievable set on your shelf give us a call and ask for Peggy. 605-348-7373. Motion Unlimited Museum Rapid City, South Dakota. Sorry we are not set up to take credit cards, but we will take your company or personal check.